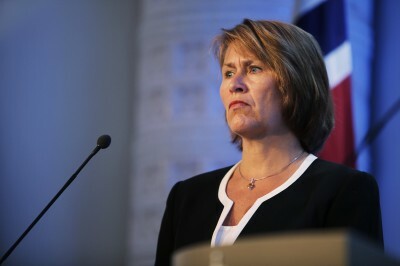 The Norwegian state has earned large amounts of money since the beginning of the UN-backed international military operations in Libya because of the effect of the conflict on oil prices – something which Amnesty International Norway believes could lead to “a problem for Norway’s reputation.” Meanwhile, the country’s defense minister refused to confirm whether Norwegian fighter jets were involved in Monday’s attack on Colonel Gadhafi’s headquarters, despite American sources reporting Norway’s role. When the missions began in Libya and oil exports from the country ceased, oil prices increased by around NOK 106 (USD 20) per barrel. Norway has since then sold roughly 1.67 million barrels of crude oil, along with 1.79 million barrels of dry gas and 530,000 barrels of liquid gas. If 85 percent of the earnings from these sales come into the government budget as expected, the country will have earned around NOK 300 million (nearly USD 57 million) per day and total earnings of about NOK 21 billion (almost USD 4 billion), according to estimates by newspaper Aftenposten. Some journalists in the Norwegian media were disappointed with this stance. Per Edgar Kokkvold, the general secretary of the Norwegian Press Association, told Aftenposten that it is “not understandable that Norway should be more reserved than Denmark.” Danish authorities release information every day on which targets its forces have attacked, without connecting these missions to particular pilots or aircraft. Faremo also answered questions on whether the mission was intended to kill Gadhafi himself, stating that Norway stayed within the limits of the UN resolution that did not include this as a legitimate goal. Analysts commenting in Aftenposten suggested that had the mission killed the Libyan leader, the oil price would have fallen USD 10. Join our Reader Response if you’d like to comment on this story.